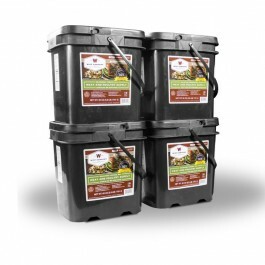 If you’re looking to start or expand your emergency food supply, this is the perfect option for you. You’ll get 240 servings of freeze dried meats, plus 80 servings of long term emergency rice, all packed away in easy to store containers. With a variety of different types of meats available, you won’t grow tired of eating the same things day after day. Each of the meats are designed to taste great and provide you with the protein and other nutrients you need to stay strong and healthy. This is plenty of food for an individual or a family to survive for months, in just about any situation. 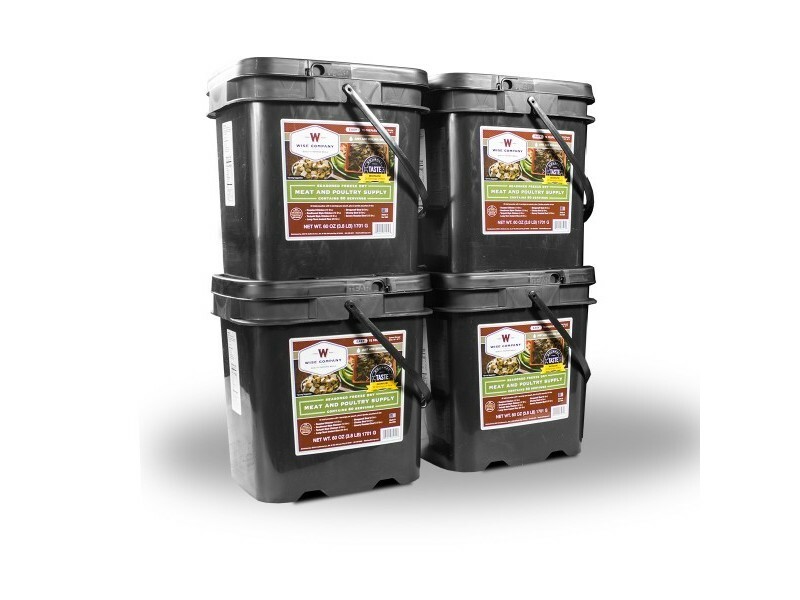 If you’re looking to stockpile enough food to get you through even the worst of disasters, the Wise Foods – Freeze Dried Meat package is the ideal choice. Each of the meats in this package is seasoned to taste great as well as provide the nutrients you need. With such an extensive variety of different meats available, you won’t ever have to eat the same thing two days in a row, which will help you keep from getting sick of what you’re eating. The variety also offers a varied set of different types of proteins, vitamins, minerals and other nutrients, so your body can operate properly. This is, of course, essential for any disaster or survival situation. If you’re looking to start or grow your emergency food stockpile, look no further than this Wise Foods- Freeze Dried Meats package with over 320 total servings of food included. 240 servings of assorted seasoned freeze dried meat plus 80 servings of long term instant rice.